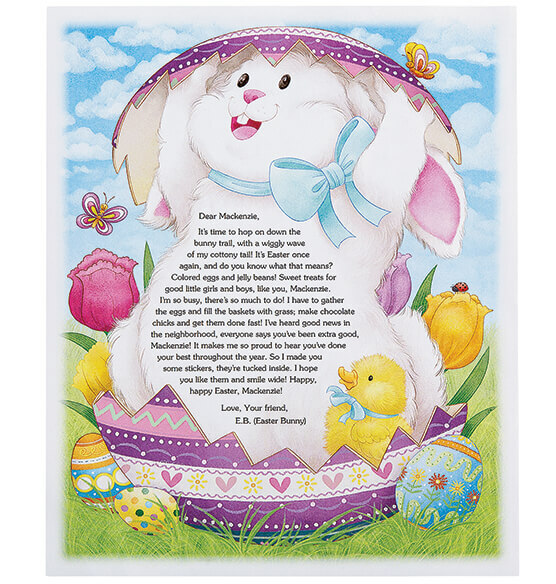 Your little one will love a personalized letter from the Easter Bunny himself, complete with a sheet of personalized Easter stickers for added fun! 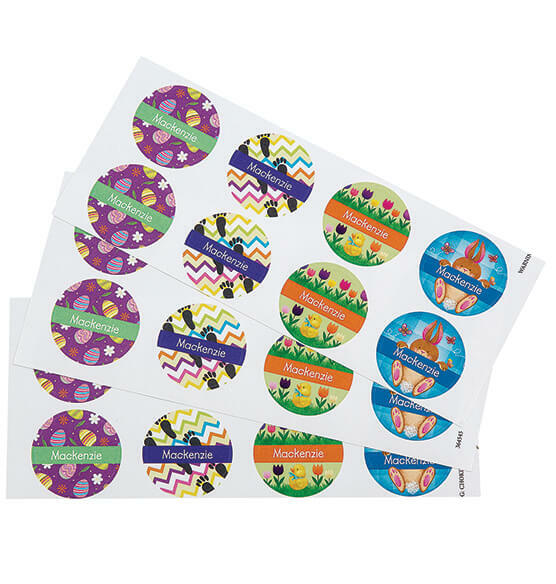 Brimming with sweet holiday sentiments, the rhyming Easter Bunny note will include your child's name 4 times—AND will also be printed on all 24 festive stickers. 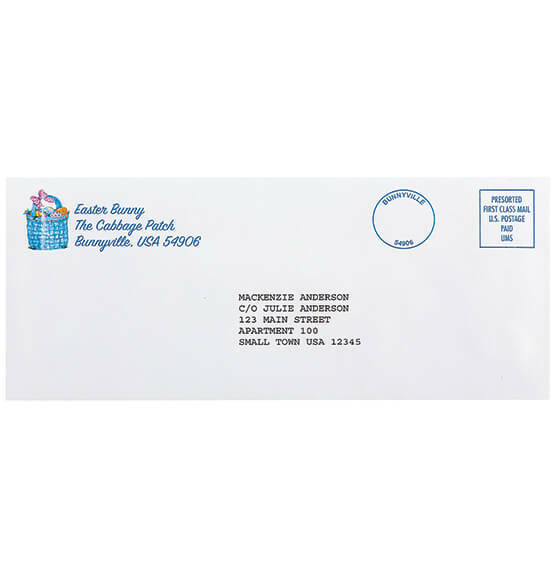 Specify child's full name and complete home address, city, state and zip. Mailed in April. Place order before April 11 to assure delivery before Easter. 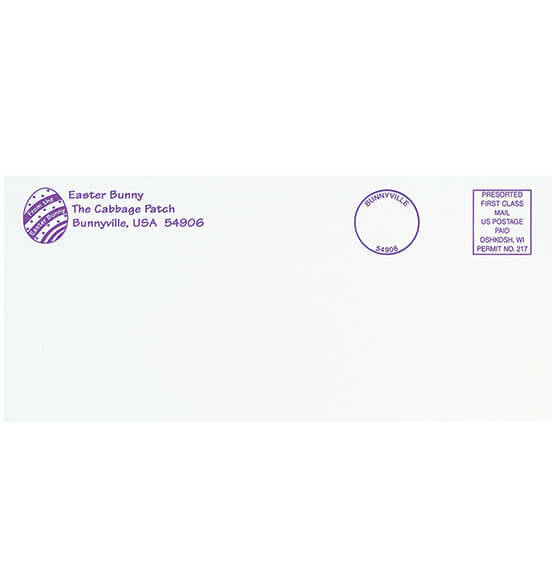 No additional shipping charges to another address; shipping only available to the 50 United States.